Members of the 106th Rescue Wing assigned to the New York Air National Guard climb aboard an HC-130 aircraft at the 106th Rescue Wing, Westhampton Beach N.Y., Sept. 13, 2018. 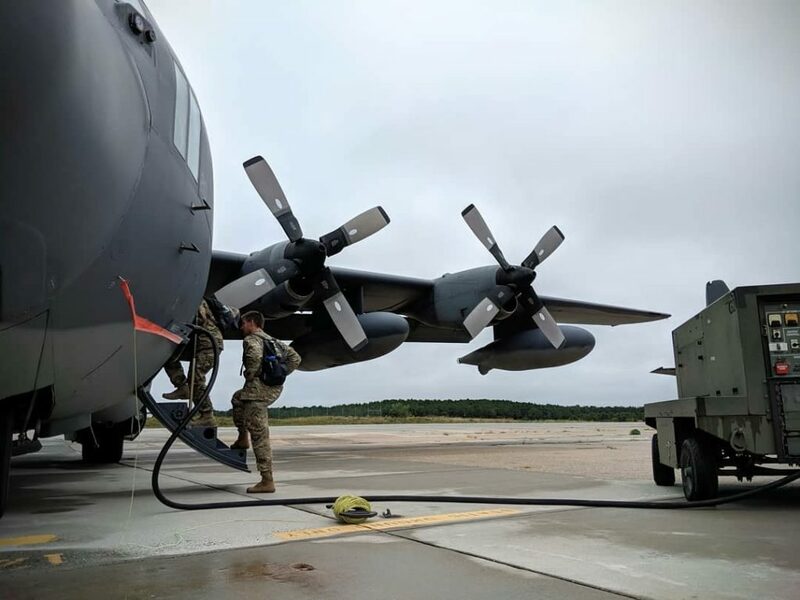 The 106th Rescue Wing plans to use their highly trained Guardsmen to assist in the Hurricane Florence Relief Effort. 106th Rescue Wing assigned to the New York Air National Guard personnel and equipment mid-flight to Dover, Delaware, Sept. 13, 2018. The 106th is trained and always ready to provide rescue relief.